If there was any question whether the group would be able to continue their great potential beyond the Black Smoke Rising EP, “When the Curtain Falls” alone should prove that won’t be an issue. Michigan rock & roll band Greta Van Fleet has finally released a highly-anticipated single -- the first from an even more highly-anticipated, full-length debut album -- and it did not fall short of expectations. The band, which consists of young brothers Josh Kiszka, Jake Kiszka, and Sam Kiszka along with family friend Danny Wagner, was just signed to Lava Records in March of 2017, but has made significant waves since. Their label defines them as “arena-rock” and it couldn’t be more true -- with just one EP under their belt, GVF is already on the tail end of a sold-out headlining summer tour that included stops at festivals like Coachella along the way. “When the Curtain Falls” does not stray from the classic rock sound that makes Greta Van Fleet so noteworthy and exceptional. 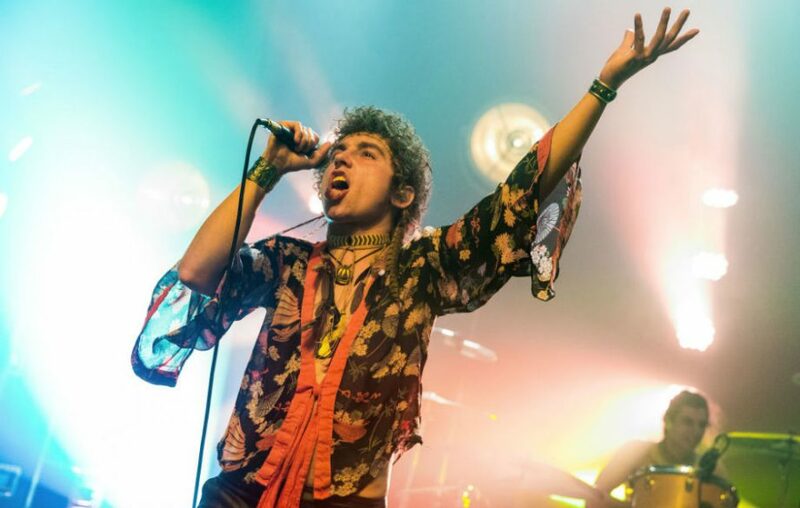 Lead vocalist Josh Kiszka is only twenty-two, but wails and hits high notes so effortlessly that even the oldest of classic rockers are bound to be jealous. If the group is experiencing any pressure from being often compared to Led Zeppelin by fans and critics alike, it doesn’t show -- although there is something undeniably nostalgic about their sound and image, they’re blazing a trail in the rock & roll scene by making that very sound and image appealing to a wide range of audiences. While modern-day rock may boast great qualities in its own right, there’s something evocative and overwhelmingly familiar about the edgy blues-rock sound GVF produces, even for younger demographics. If there was any question whether the group would be able to continue their great potential beyond the Black Smoke Rising EP, “When the Curtain Falls” alone should prove that won’t be an issue. Although there is no set date for the album yet, there’s been implications that we can definitely expect something before the year is over. Greta Van Fleet seems determined to make a name for themselves in rock -- not by copying an old sound, but taking something classic and reincarnating it with a fresh twist that rock music didn’t know it needed until they came along. Listen to “When the Curtain Falls” on Youtube below. Also available on all streaming platforms. Chance the Optimist...or Chance the Petty Ex?